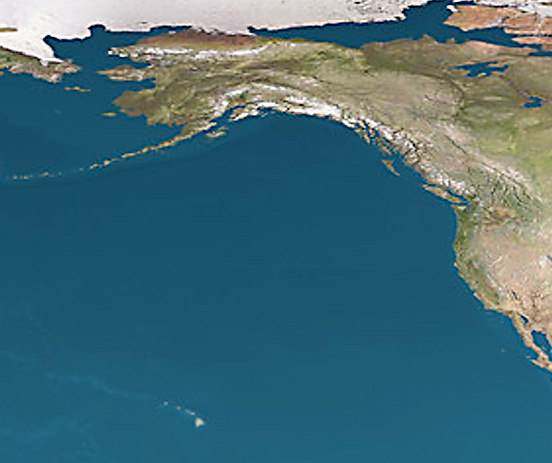 STS provides telephone communication and data transfer via satellite for a major portion of the Pacific—from Alaska to California. We have retail dealers in major Pacific ports - San Diego, Honolulu, Dutch Harbor and ports in between. We can keep you in touch with Full Duplex, Two-way Dispatch, Satellite, or all the above. Full Duplex Telephone — cost effective service that can connect with the regular telephone network. Two-way Dispatch (half duplex) — provides privacy and group calling over a private network. Communication is now possible from any point on Earth. A satellite phone lets you stay in touch when nothing else works. Big boats to small boats - Our systems cover the spectrum. Looking for a hard-to-find part? Let us know. We will track it down. Technical experience and assistance is part of our service - it goes with the sale. "I recently purchased a sat phone for my lightboat, F/V Phyllis. My skipper Paul Rich installed the phone on the boat and STS helped him with the final set-up over the telephone. Paul left the dock that afternoon and that same night found a good squid location in the Channel Islands. No other boats were anywhere near him. He was in a dead cell phone area and could not reach anyone on the radio. He picked up his new sat phone and made one call to a seiner who ran over two hours to have Paul set him for 65 tons of squid! I knew the sat phone would eventually pay for itself, but I did not expect it to happen on the very first call!" "In a word, service. Satellite Technical Services has always provided us with quick, efficient service and parts. When seasons are weeks long you need prompt service and repair where you are, not at a service center in Florida." We Work Where You Work! This is the operational area for our services. STS provides telephone communication and data transfer service via satellite for a major portion of the Pacific—from Alaska to California. We offer Inmarsat and Iridium satellite phone services nationwide. 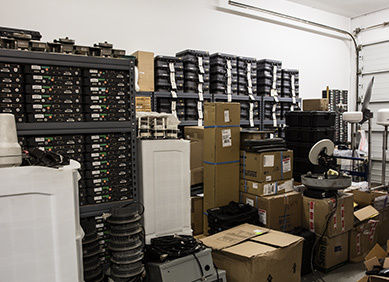 Below - Inventory and equipment in the warehouse. 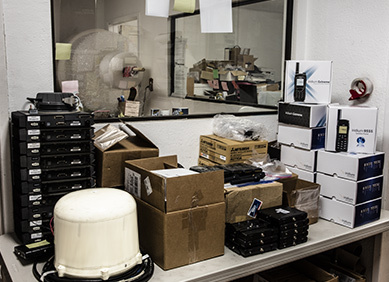 We maintain a large inventory of essential gear.